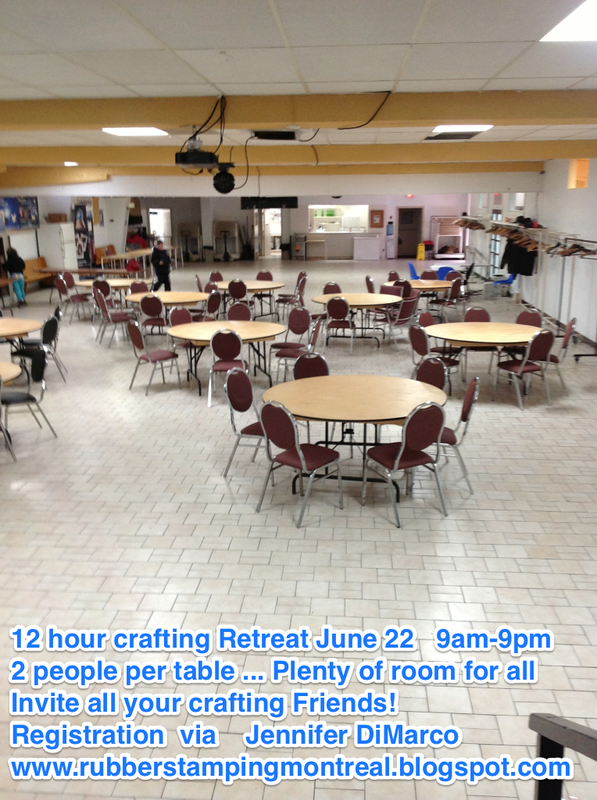 NOT TO BE MISSED EXCLUSIVE EVENT!!! 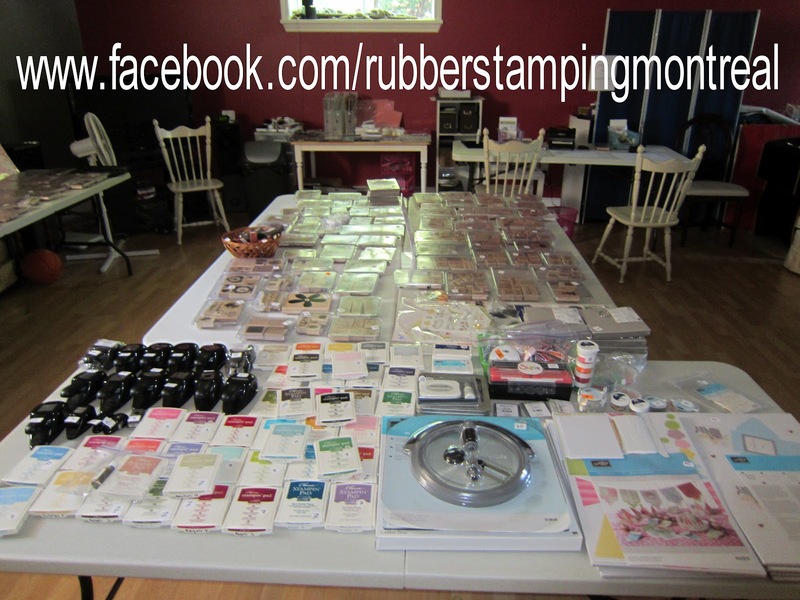 $1400 in FREE Stampin' Up! 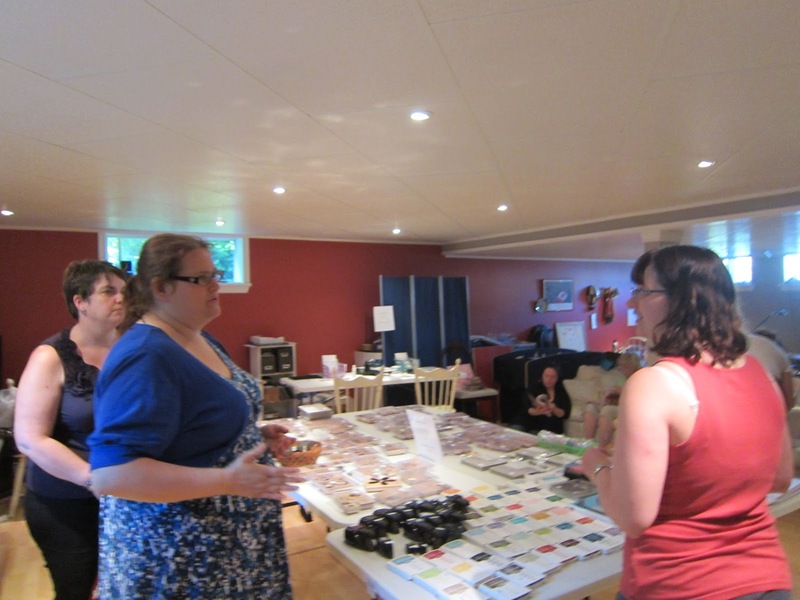 Products !!! 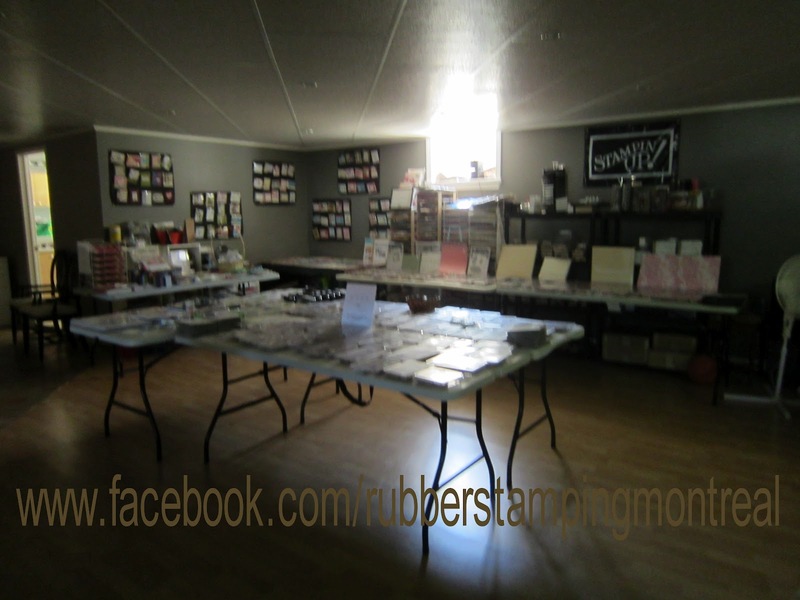 For every $$ you spend on my retired merchandise tables, you willl be able to choose that much for FREE from the NEW 2013-2014 Stampin' Up! 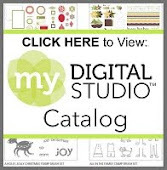 Catalogue!!! 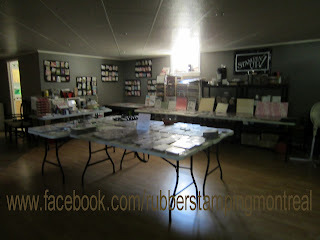 Buy 1 Get 1 FREE 2012-2013 Stampin' Up! New Catalogue Kick Off Event! 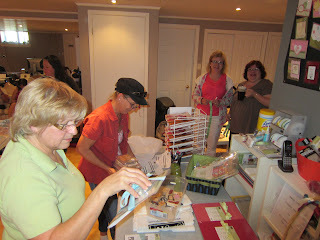 and over $400 in raffle prizes !!! THANK YOU EVERYONE for coming out and celebrating with me! 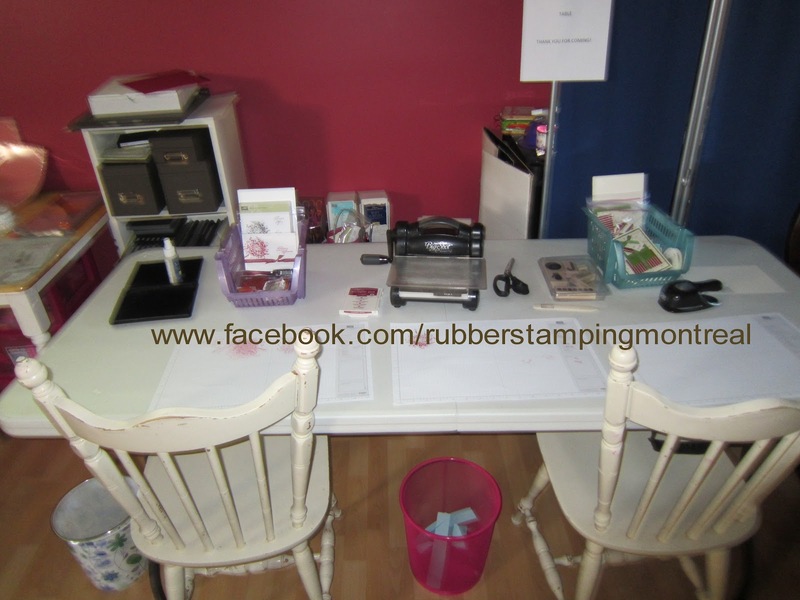 May 31st 2013 Stampin' Up! 2 for 1 Sale ! All the raffle prizes ! 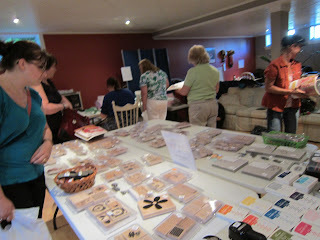 Here is my welcome table ... guests were able to pick up their catalogue, a goodie bag, a treat bag and a stamp ! Most popular NEW stamp set sold... Blooming with Kindness. LOVE IT !! Loving the Dolled-Up Birthday Kit ! 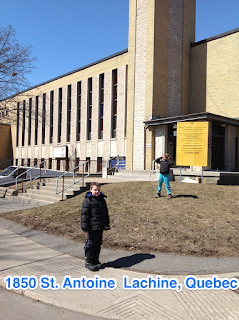 Look At What I created today! 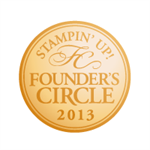 I love the new DOLLED-UP BIRTHDAY KIT By Stampin' Up! We're excited to introduce our second Submit a Project kit--the Dolled-Up Birthday Kit--voted on by you via our Facebook page. This gorgeous birthday card was created by Chris Gilmore, a manager from Coshocton, Ohio. 12 Hour Crafting Retreat in Lachine in support of the Extended Hands Food Bank! 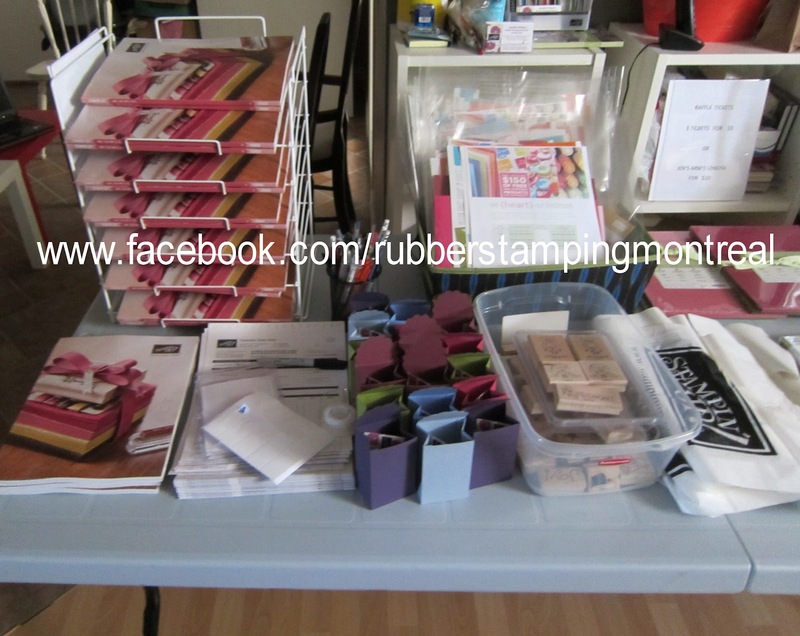 Welcome to My Paper Pumpkin...the magical box of stamping bliss that comes to YOUR door each month! My Paper Pumpkin is HERE ! YES it's available in Quebec !!! Click Get it or Join here...you can cancel at any time (see more details below). Again...do NOT click on the try it for one month.....that is not the kit you want..trust me ! Paper Pumpkin is now available to Quebec residents (YAHOO) and anyone else in Canada ! Your first Welcome kit (featured below) will ship on June 15th....your credit card will only be charged when it ships out ! Click on the Get it / Join Now and you will receive as your Welcome Kit the picture below ! The Welcome kit (pictured above) is the very first Paper Pumpkin you will receive in your first month of membership (so if you wait and join in May or before June 9th ) you will receive this kit as your first kit. 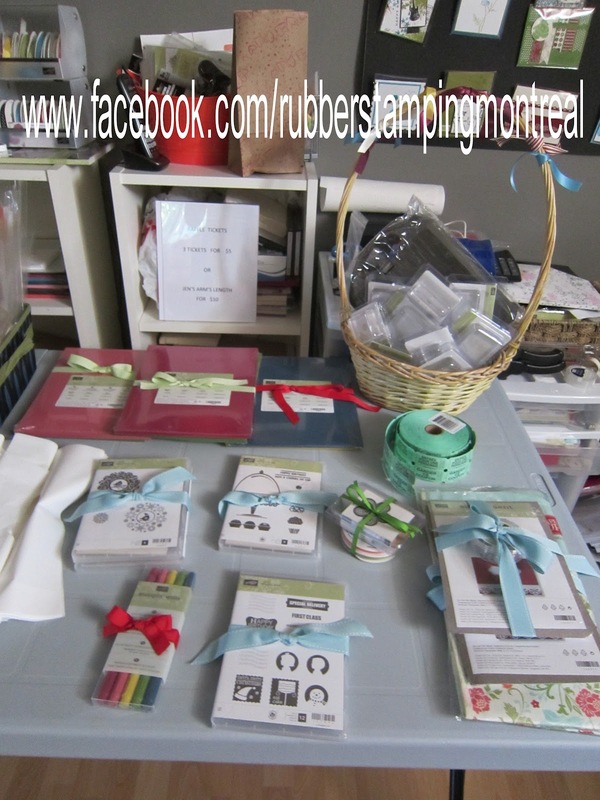 The Welcome Kit includes a free gift of a clear acrylic block! 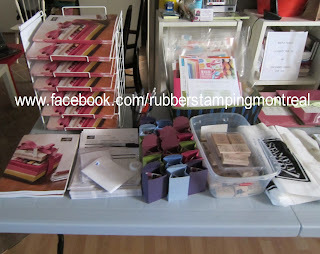 Join my Paper Pumpkin Party Club and each month I will have a exclusive Paper Pumpkin Party here in my studio where we will create our kits and in addition I will have an extra surprise project to make too. 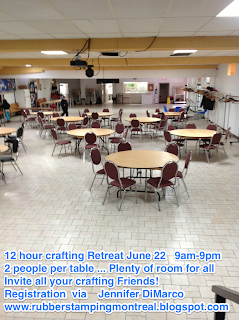 If you cannot make it to my studio or live long distance I will send you instructions to make all the things we do! Are there any benefits to signing up with ME for your Paper Pumpkin Subscription? YES - I have a special Paper Pumpkin Party each month in my studio (or I'll send you instructions) and we will play with the kits and make a special EXCLUSIVE BONUS project! I hope you will join my Party!! Are you new to stamping? Wonder what all the fun is about? 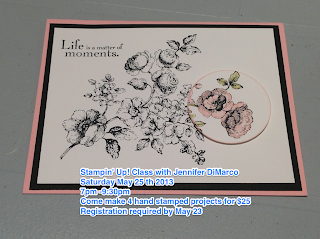 Register for this class ...all supplies are included..
We will be stamping 4 projects using a variety of tools to give you an idea of how fun and easy it is to make hand made cards and gifts! 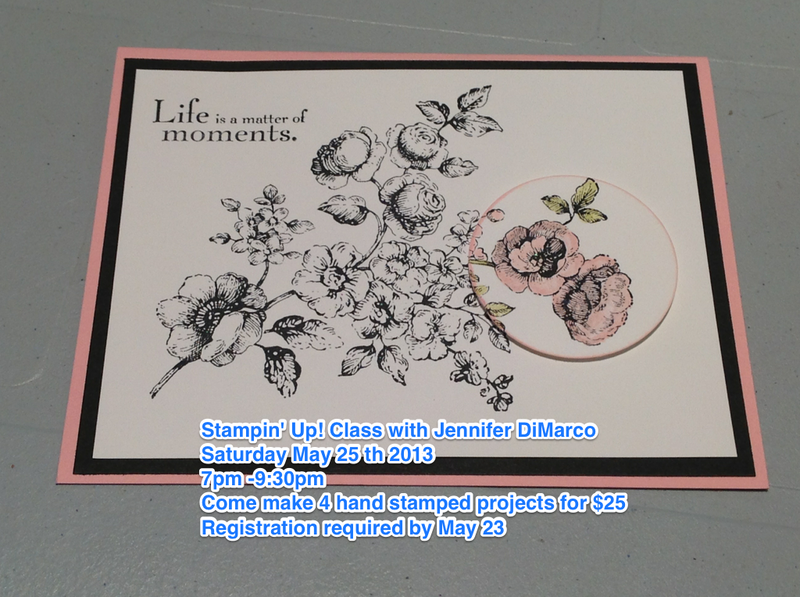 Registration is required by May 23. 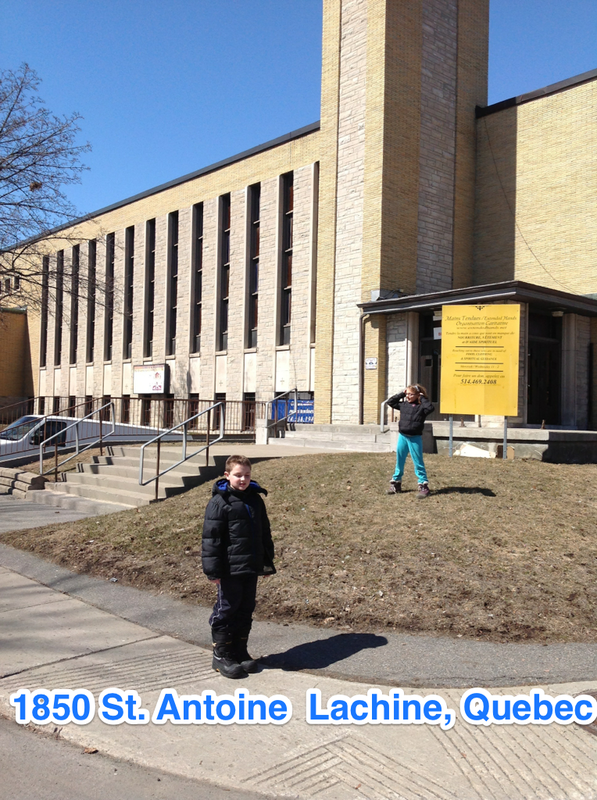 You may register via facebook or email or phone! 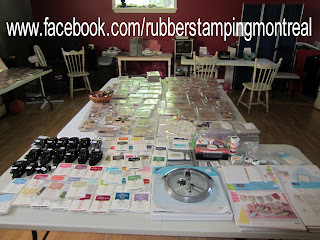 Last year I gave away over $1400 in FREE Stampin' Up! Products! 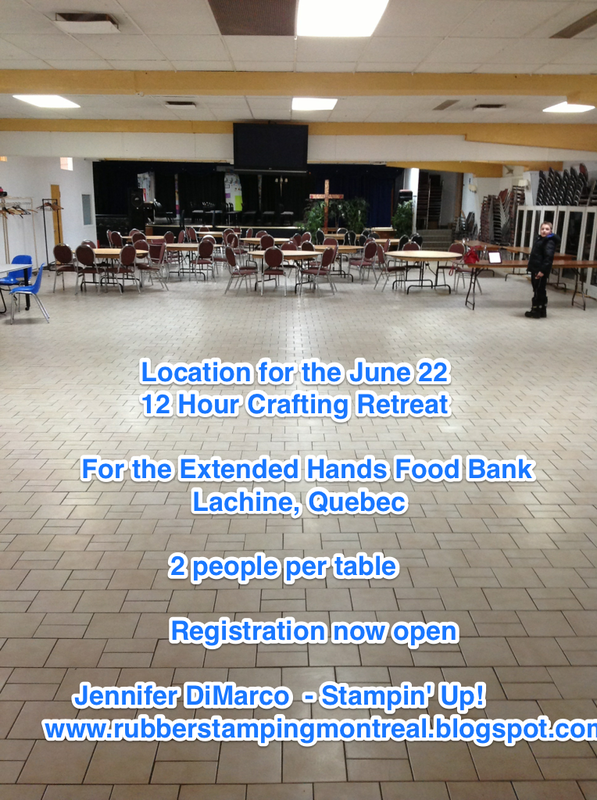 Have you registered your spot?